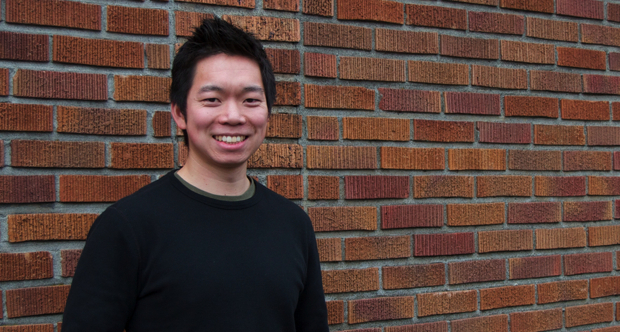 Chris Lee is the cofounder of the Seattle-based Meeteor, which scours your social graph in search of second- and third-degree connections to people who might be able to help advance your career. Fast Company caught up with Lee to talk about coffee, sandwiches, beer, and other networking tools. A big part of our inspiration came from seeing how friends would, in a casual, analog way, talk to friends whenever they ran into them, and express, “Hey, this is what I’m looking for.” And friends would make referrals. Similarly, people were using online tools like Facebook or LinkedIn, but in a very manual way. We search through your network to highlight people you might want to reach out to, and we tell you why. Basically we want to remove as much friction as possible from the networking process. Why do you use Facebook instead of LinkedIn, the supposed professional social network? One reason is just pure numbers: Facebook has close to around 850 million users, while LinkedIn has around 130 million. Also your friends on Facebook are more likely to help you; they’re the ones you’d casually reach out to anyway. Facebook friends are your close friends, the people who are gonna go out on a limb for you. That said we’re currently exploring integrating with LinkedIn more. But are sites like yours a real warning sign for LinkedIn? If Facebook takes over networking, what does that mean for LinkedIn? I think it’s also very much a demographic issue. For people in their late 30s, LinkedIn is very much their siloed professional network. Lower in the demographics, people are blending personal and professional social network use. For a lot of people in their 20s, they’re adding people from work, their bosses, on Facebook. Who is Meeteor most popular with? We’ve gotten really positive feedback from college students who we talk to. They need more of a helping hand at this point. They don’t have large professional networks, or a huge Rolodex of people they can call upon. They’re really looking for tools integrated with their lives, and their lives revolve around Facebook. Part of the insight of Meeteor is that help can come from unlikely places. You might think your guitarist friend would have the hookup to the music industry, but it turns out to be some random person you played soccer with in first grade. Exactly. I have 800 connections on Facebook. There’s no way I can keep track of all those people. We’re really trying to tap into the network you may not even know you have. One of our users mentioned she was interested in meeting people connected to libraries. Meeteor introduced her to one of her brother’s friends, and she quickly realized that this friend was working at the place she wanted to intern at. The exact person she wanted to get in touch with worked down the hall from her brother’s friend. Three days later she had an interview with the woman, who offered her the internship on the spot. You talk about Meeteor as though it were a being of its own. We position Meeteor as this service that’s working for you. You could be the one that’s doing the grunt work. Networking is kind of a pain. And we don’t think you should have to spend all your time doing all this arduous labor. You were president of the Brewmasters’ Guild in business school. That sounds like a good way to build a network. I still love exploring all the local breweries and beer bars in Seattle. When I do come across someone with a love of beer, there’s an instant connection there, something we can easily chat about. In general, when you find another person has a shared passion, it accelerates the relationship. This interview has been condensed and edited. For more from the Fast Talk interview series, click here. Think you’d make a good Fast Talk subject? Mention it to David Zax.